Take a look at the Get accutane online for a complete listing of recent news and updates from CTEC, and refer to the Prednisone without prescription and Canadian generic ventolin pages for links to the latest media stories related to Superfund and environmental cleanup in Butte and western Montana. Opportunities for public involvement and additional info can be found on our Events Calendar. Please join us to discuss your perceptions and experiences of health in Butte in a small group setting. There are 2 opportunities to join in – April 22 and April 29th. Upstairs of the Quarry Brewing – 124 West Broadway – 6pm. Pass this along to anyone who might be interested. You can call 723-6247 with any questions. MTech will present findings on recently completed research on public health concerns of residents in the Butte area. A summary of health concerns expressed during the prior public meeting will also be provided. These concerns will be divided into one of four topic areas to support small group discussion: risk assessment/blood-lead, epidemiology/health studies, community health, and health communications. Experts from the Working Group will be stationed at each of the tables while Butte area residents can move from one table to the next as best meets their needs. The intent is to maximize time for residents to work directly with the experts in developing methods for evaluating their health concerns. This is a workshop among citizens and experts, not a lecture. For the Health Study to be responsive to public health concerns, the public must be involved. The results of the meeting will be used to develop methods for responding to public health concerns. We are building on prior meetings and making real, meaningful progress that will make a difference in a matter of months. 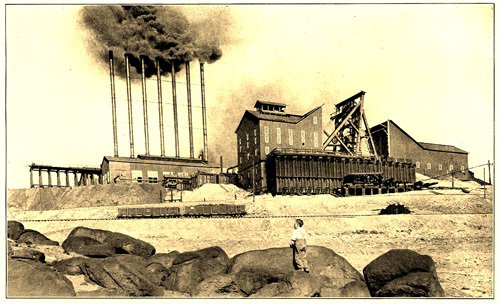 The Neversweat Mine in Butte around 1900. Welcome to buttectec.org, established and maintained by the Citizens Technical Environmental Committee (CTEC) of Butte, Montana to serve as a public resource for information and scientific data about Butte and Silver Bow Creek area Superfund sites, as well as associated environmental issues and sites related to historic mining and smelting. The goal of this site, as with all of CTEC’s efforts, is to help citizens develop informed questions and become involved in the decision-making process for the ongoing cleanup of mine wastes and related environmental damages in the area. 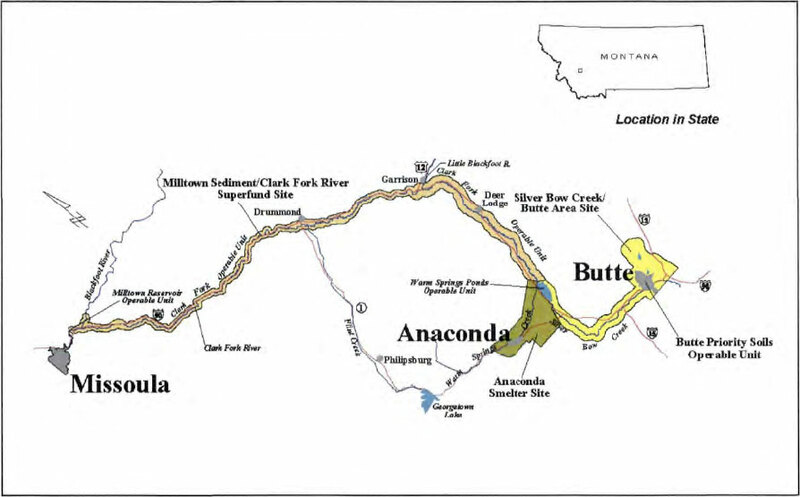 Environmental cleanup efforts in the area are monumental – it is estimated that over one billion dollars will be spent on reclamation and restoration across more than 120 miles of Montana’s Clark Fork Basin, from Butte to Missoula. The issues are complex, and the environmental impacts are broad – the map below will help to orient you in regards to Superfund sites in western Montana. Superfund sites of the Clark Fork Basin in western Montana. Click on the map to view a larger version. Detailed maps of different areas in the basin are available on the specific pages listed in the top navigation menu. If, in reading over any of the information on this site, you would like to be involved in the monumental efforts to restore the environmental health of the headwaters of the Columbia River, consider leaving a comment or contact CTEC directly to learn more about how you can get involved. Call us at (406) 723-6247, stop by our office at 27 W. Park Street in Uptown Butte (our office hours are 10:00 am to 3:00 pm Monday through Thursday), or e-mail us at buttectec@hotmail.com.